Within days of moving to New York City, three years ago, I was approached on several occasions by clipboard holding agents. Each of them asked me to commit to something different. “Love children? Sponsor one in Africa! Don’t have time to chat about the child in Africa? You must be pretty selfish.” “Want a puppy for that apartment you barely fit in yourself? We’ve got bags of them!” “Do you love the environment? Prove it. Stop and talk to me. If you don’t I’ll make sure to note that you hate the environment. Your carbon footprint is the reason our children will never breathe clean air.” It was in those first days that I made a vow to never hold a clipboard and approach people. Ever. Even if the rent to my apartment depended on it. This past weekend I broke that vow. But I promise–it was for good reason. A little over a year ago, I met Caley Vickerman. She is the founder of the Guerilla Haiku Movement, a movement that aims to inspire people to get out and create/make art; a movement that brings joy to people’s lives; and a movement that motivates people to explore and celebrate the temporary and the virtually permanent. How does the movement do this? 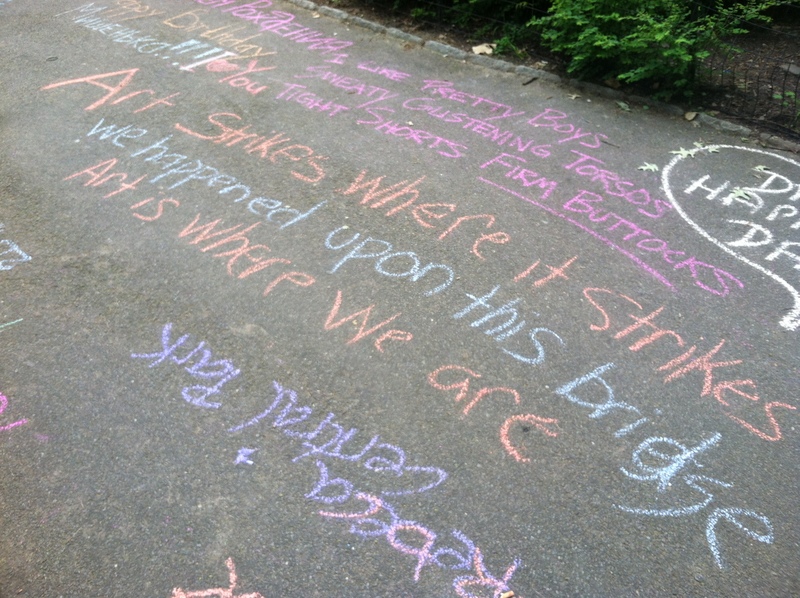 It’s simple: Through chalk and Haiku. (Quick reminder: A Haiku is a three line-syllable based poem. The first line must have 5 syllables. The second line must have 7. and the last line must have 5 again). 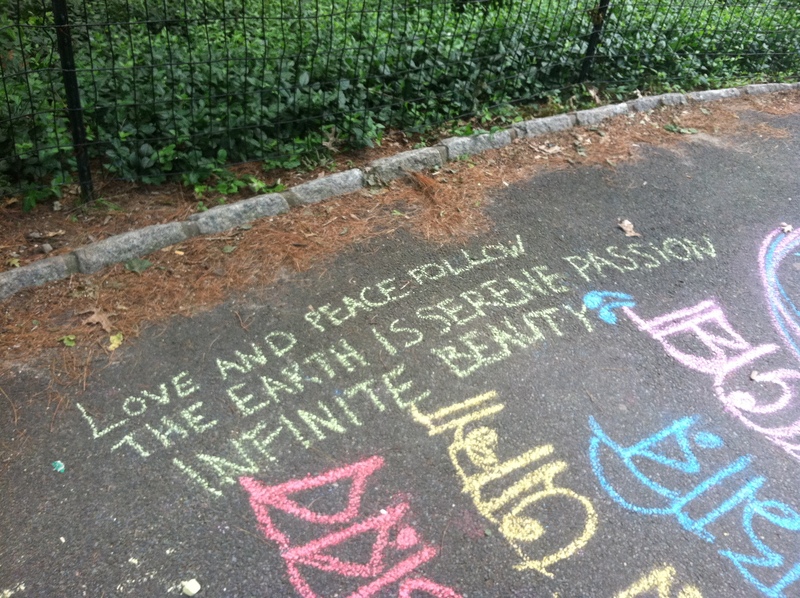 Throughout the world, Caley organizes events that ask people to take a moment out of their day to pick up a piece of chalk, find a free space of blacktop or sidewalk, and haiku away. Each haiku can be about anything a person wants his or her haiku to be about. Easy. When I met Caley, I became enthralled by her movement. As someone who can often be caught on the subway counting syllables and noting haiku on her phone, I wanted desperately to be a part of Caley’s movement. Unfortunately, my schedule wasn’t matching up to haiku events, and I kept having to miss them. 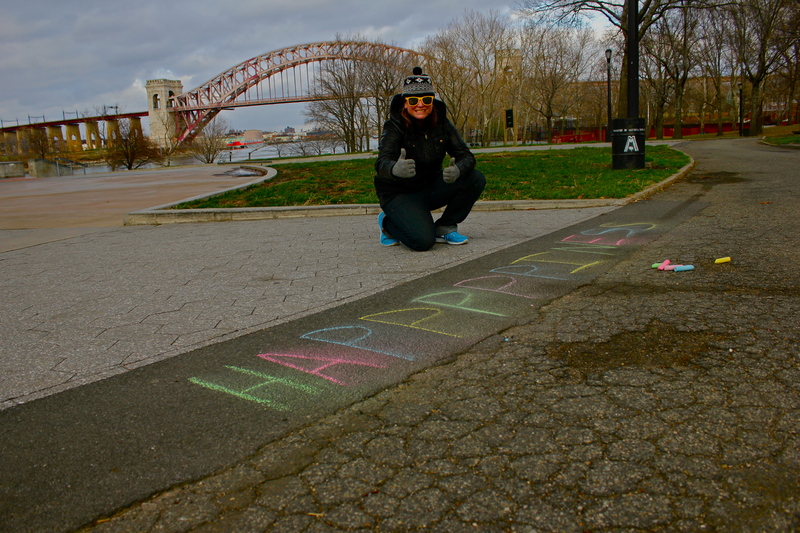 However, I felt so inspired by Caley’s chalking movement that in December of 2012, I set out on a quest to chalk the word happiness into each of the five boroughs. 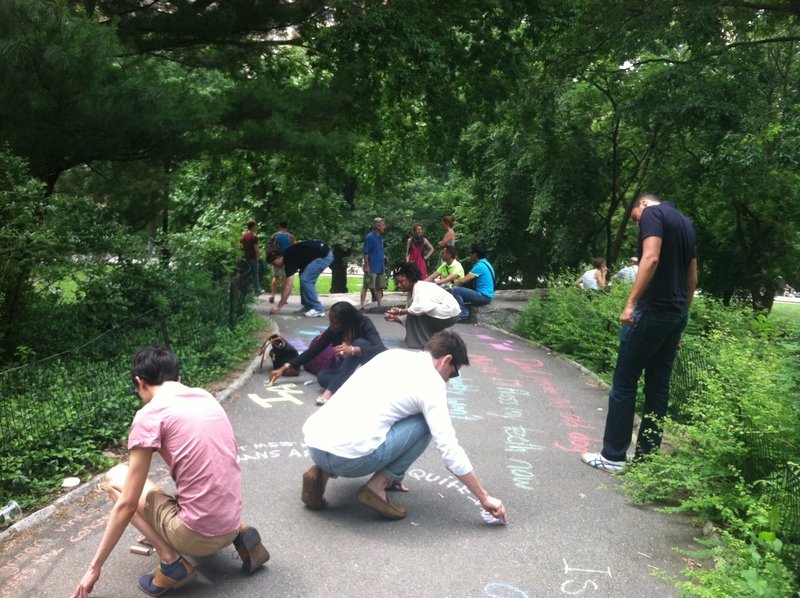 The joy I felt in purely taking the time to write the word happiness and visit each borough was amazing. 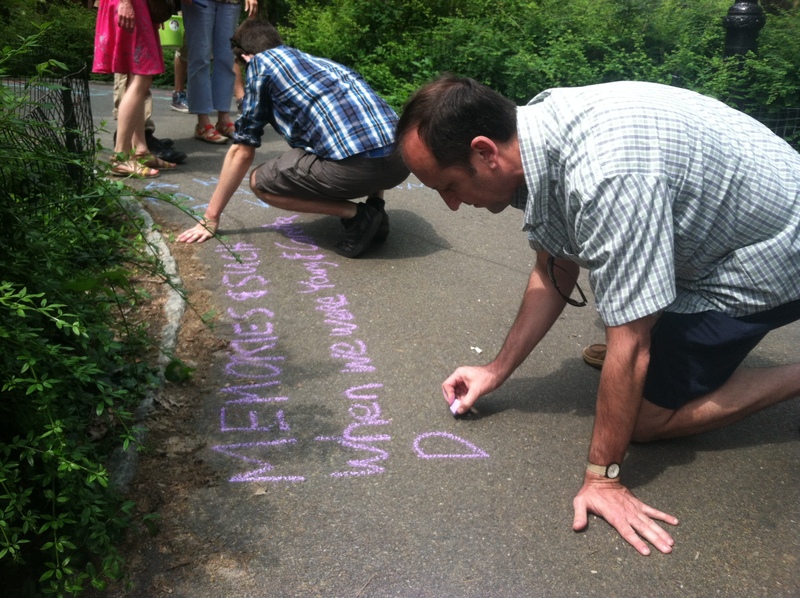 It was then that I had caught the chalk bug–I knew that I absolutely would need to take part in Caley’s Guerilla Haiku Movement–as soon as I physically could. “You’ll stand with a clipboard, a map, a scavenger hunt, get people to join you, and keep track of the hailing/get social media photos, and more. My friends, that is what we call a catch-22. 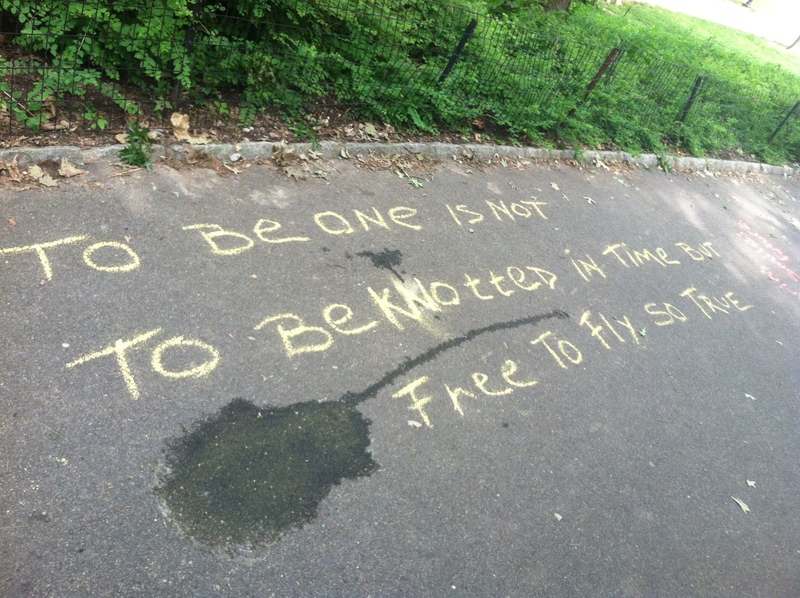 Alas, I decided that only the power of haiku could put a clipboard in my hand on the streets of New York City in order to approach people and ask them to do something–because I knew what kind of JOY it could possibly bring someone–even if it were just one person. After penning a few more of my own haiku poems, I met my co-team leader, James and the rest of our team. 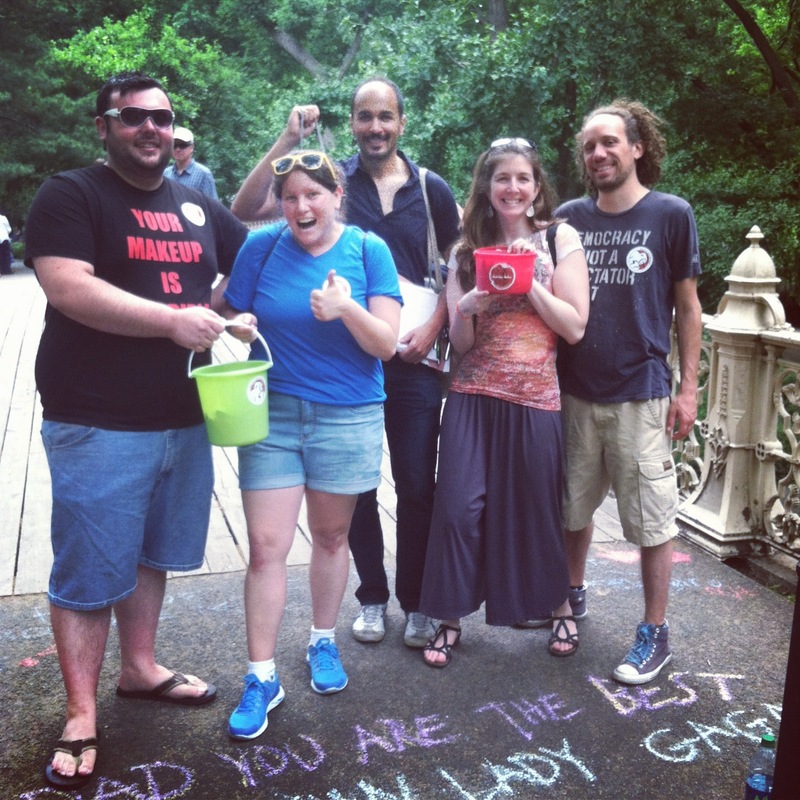 Their excitement was contagious, and as a team, we decided that infiltrating the park may be our best course of action. 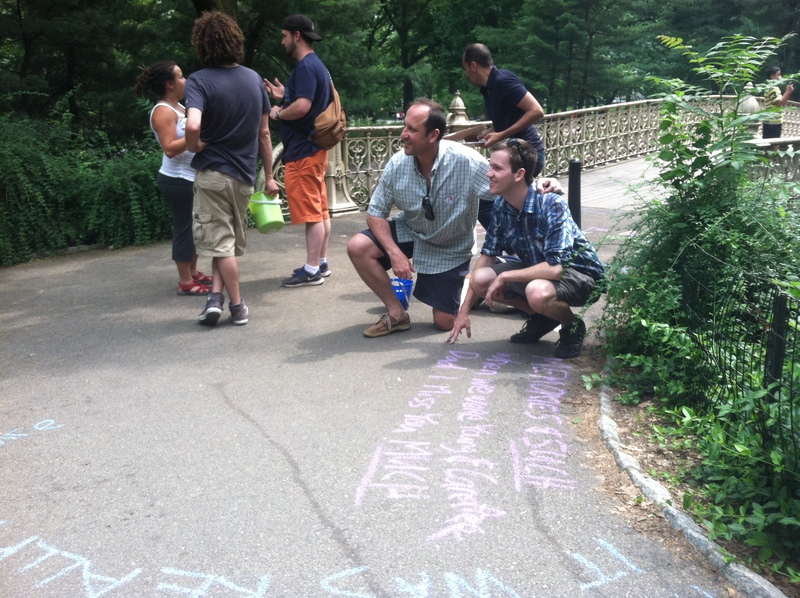 Our second best course of action was choosing a small bridge on the south side of the park–where within twenty minutes, tens of people were on their hands and knees haikuing away. 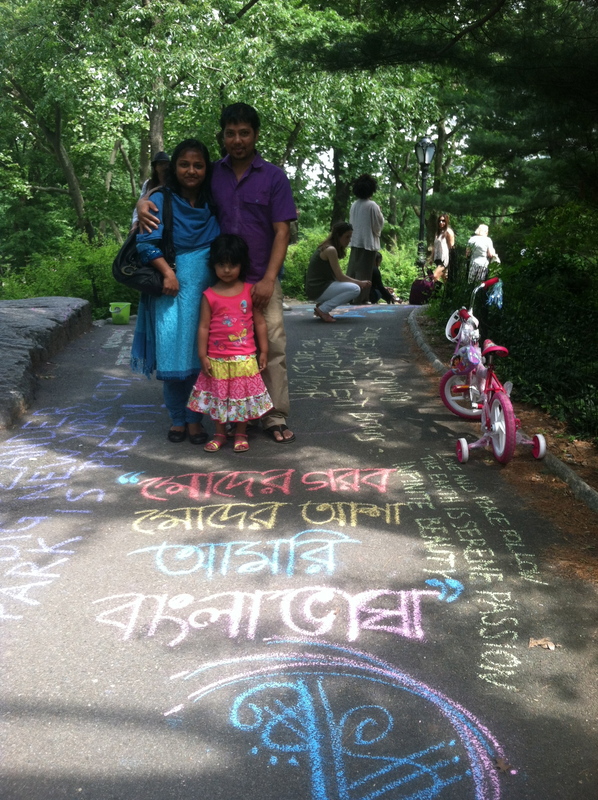 We met people who wrote in Bengali…. 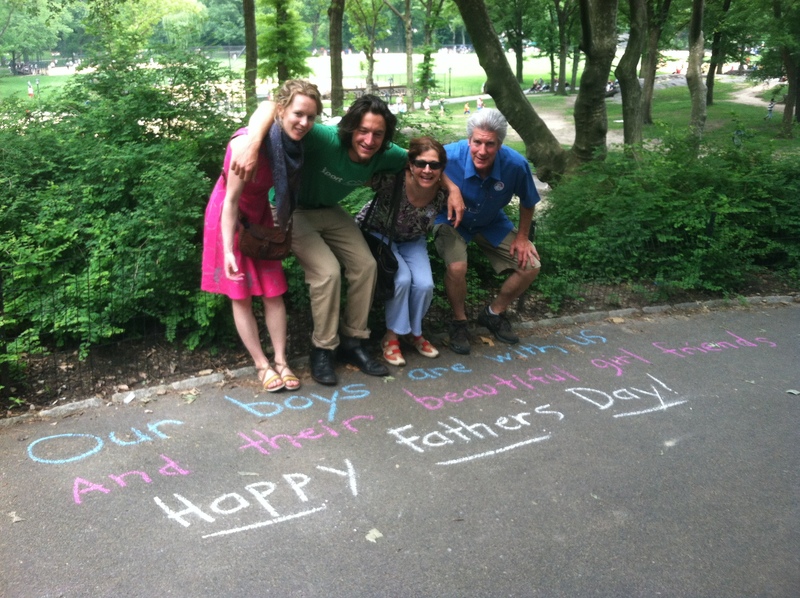 We met a father and a son who decided to take a break and haiku, because they thought it would make a great memory on Father’s Day. 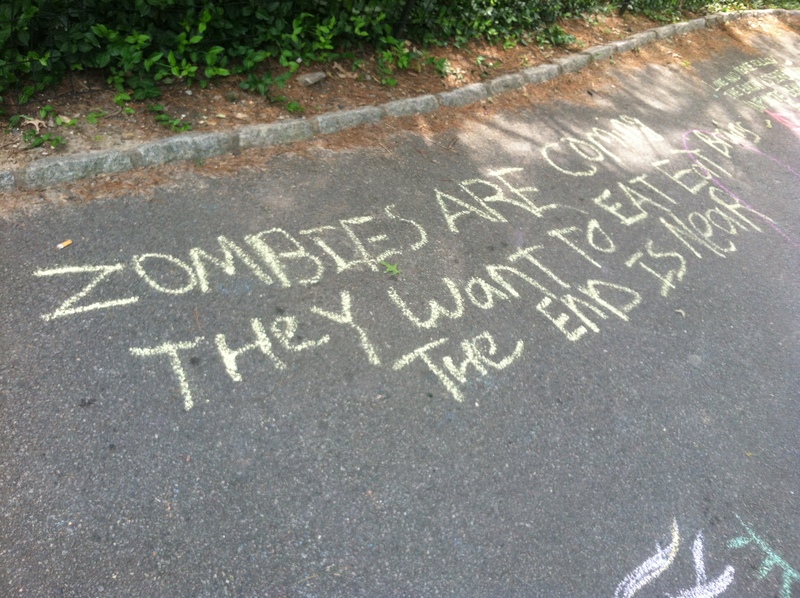 We saw a haiku written about zombies! And haiku that made us laugh! We saw people take a second to live in the moment. We saw people say yes to something they may otherwise not say yes to. We saw people leave their comfort zone–talk to a stranger–and slow it down. And above all? We saw joy and we saw happiness. What could have been a better way to spend a Sunday afternoon? 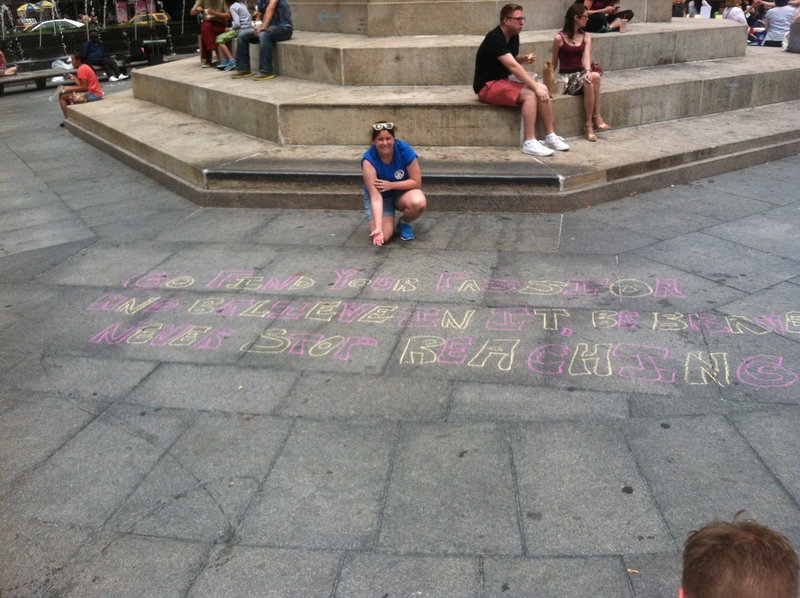 If you are interested in taking part in a Guerilla Haiku Movement event (holding a clipboard or not), head over to www.ghm575.com and reach out to Miss Caley Vickerman–The Haiku Mistress. AND I’m inviting all to participate in the haiku joy. Submit your haiku below, message it, Facebook, or tweet it to me and look for it to appear on the site later this week!!! 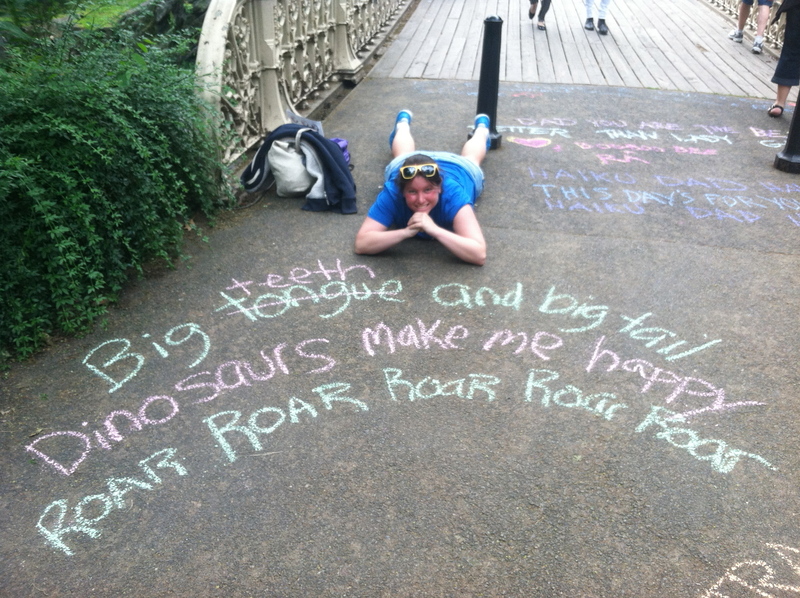 Posted in Adventure, Happiness and tagged art, Caley Vickerman, Central Park, chalk, chalk art, comfort, discomfort, Facebook, Father's day, Guerilla Haiku Movement, Haiku, happiness, joy, laughter, Movement, Syllables, the hobby hoarder, twitter. Bookmark the permalink. .In my opinion, every mix tape of life should have a laughter track. Laughter is universal.. It’s not age specific. It’s not ethnically specific. It’s not race specific–and it’s not gender specific. And when we use it to promote good (laughing together — rather than at someone) it is the most beautifully common spoken language in the world. Yes. I said language. As a stand up comic, you’d think this would be the first type of yoga people told me about. But it wasn’t. In fact, I only recently discovered laughing yoga while reading Gretchen Rubin’s Happiness Project. People kept suggesting hot yoga, hot yoga, hot yoga (and i’ll get there), but as soon as I read about this–I was baffled as to why no one had told me about it sooner! 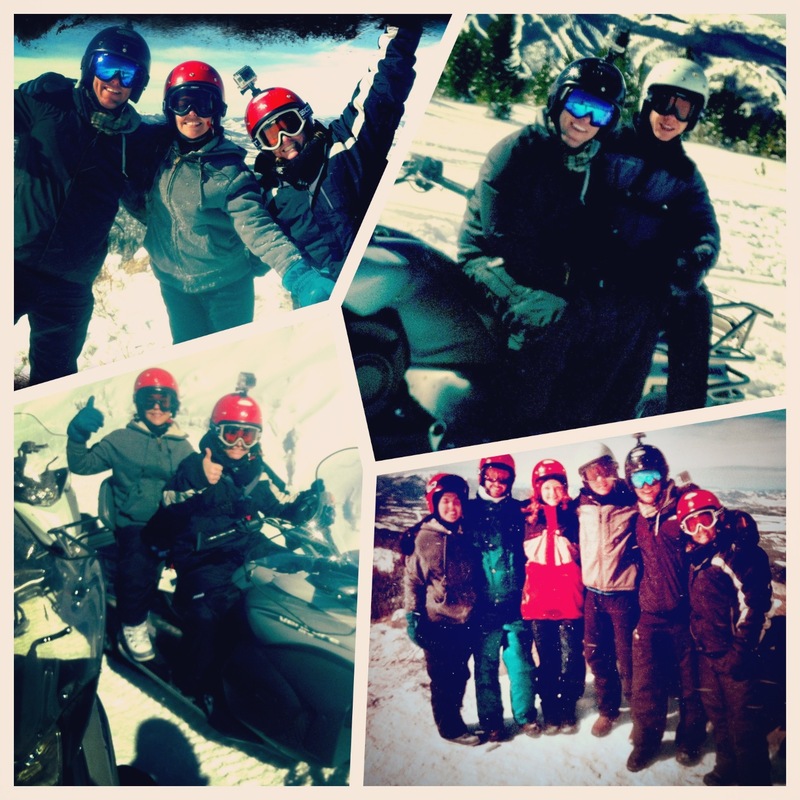 And it was one of my FAVORITE activities yet. This should be the point in which I jump into why laughter is amazing, beautiful, and wonderful. This should be the point where I tell you that laughter changed my life. This should be the point that I make note of how I became a stand up comic to give people one of the greatest gifts of the world. And this should be the point where I use a metaphor to tell you how life and laughter make the world go round. But for now, I hope you just keep enjoying the laugh track. Posted in Happiness and tagged beautiful, Better laugh Yoga, Contagious, Dr. Alex Eingorn, friends, Gifts, Gretchen Rubin, happiness, laughter, Life, The Happiness Project, Universe, world, Yoga. Bookmark the permalink. Falling can be terrifying. It can be accelerating. It can be painful. It can lead to fear. It can lead to injury. And it can lead to pride. On the evening that I headed out to Williamsburg to take a skateboarding lesson with my good friend Michael Bonner,a sense of pride overwhelmed me. 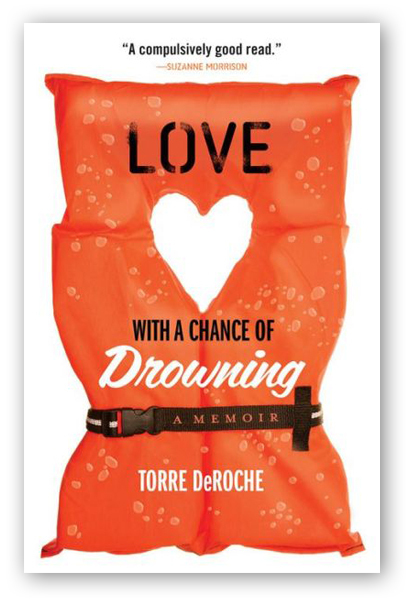 As the skateboard began to slip out from underneath my feet, I felt my arms flare, and then my body hit the ground–hard. 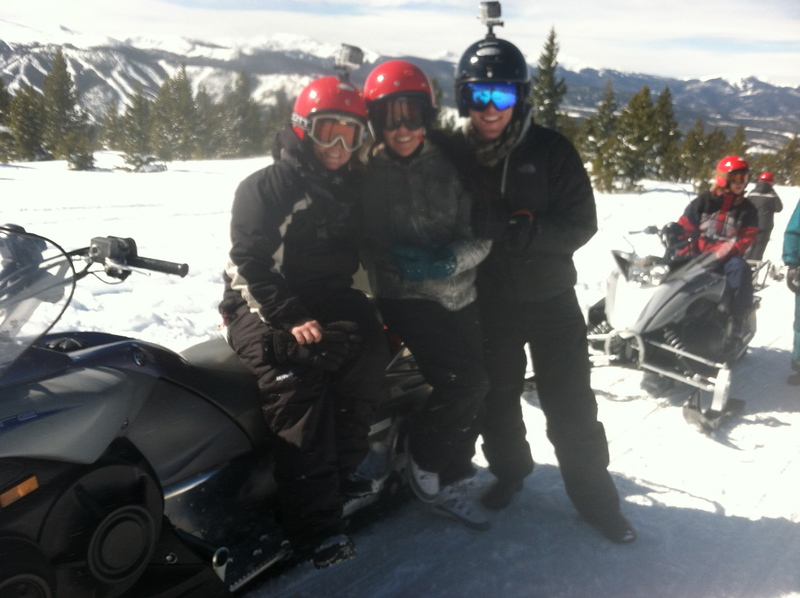 With little hesitation, I got back up, threw on a helmet, and hopped back on the board. 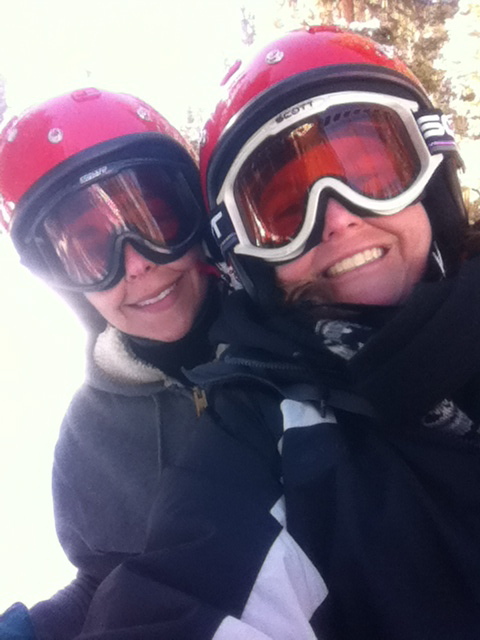 Moments later, the board came out from underneath me again–and I went kaboom. 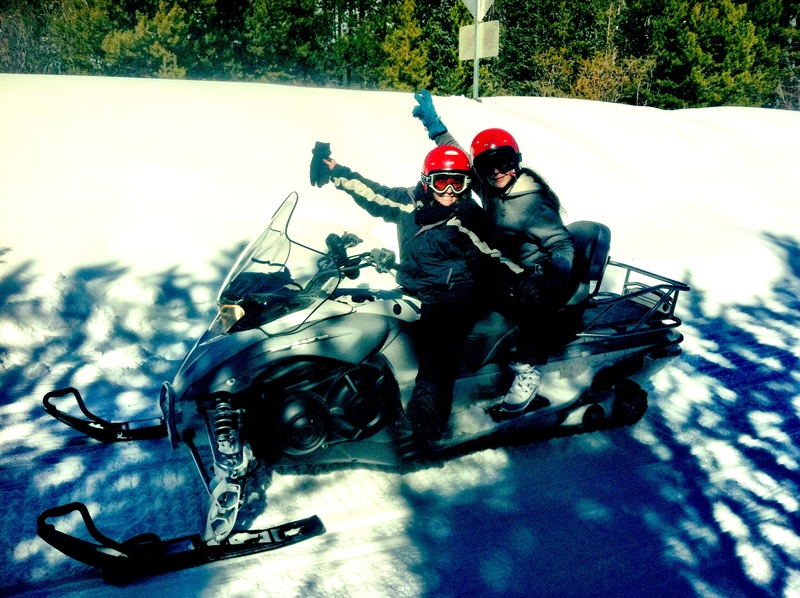 Still–I got back up–and tried it again. Life is all about taking the hits–getting a little bruised here and there, and then coming back–leaving the past behind and standing on two feet. I hate to be cliche–but if you fall off the horse–then get right back on it. And that’s exactly what I did–with bruises, blood–and smiles. 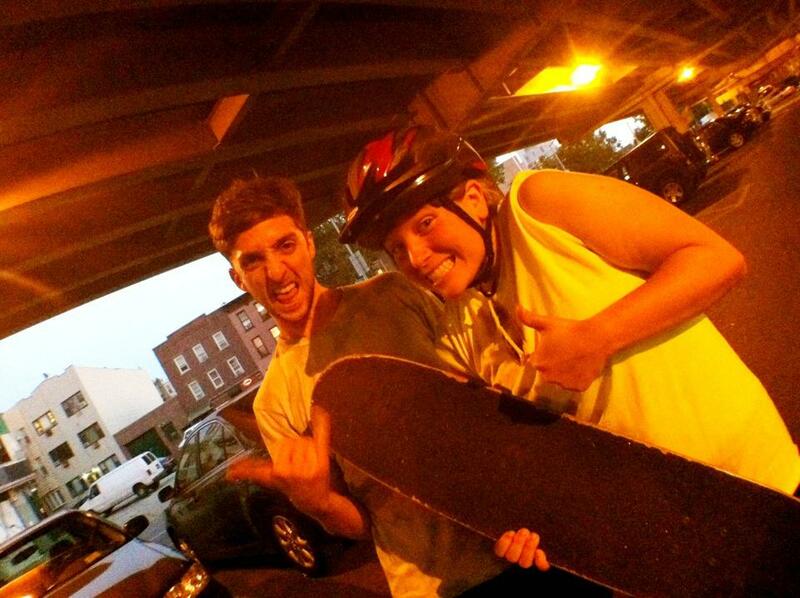 Posted in Fun and tagged accelerating, Blood, body, Bruises, fear, Getting Back up, Greg Payton, helmet, Hesitation, Injury, laughter, Libby Segal, Libs Segal, Michael Bonner, no hesitation, Pain, Painful, Pride, Rush, safety, Skateboarding, smiles, yellow sunglasses. Bookmark the permalink. The Hobby Hoarder Gets Surprised! One of the greatest parts of the hobby year thus far is meeting new people and finding others who have similar missions as myself. A month or so ago, I received an email from one of the co-founders of Surprise Industries, and I was super amped when she told me that Surprise Industries would like to offer me a free surprise hobby/activity. The email was already one brilliant surprise! 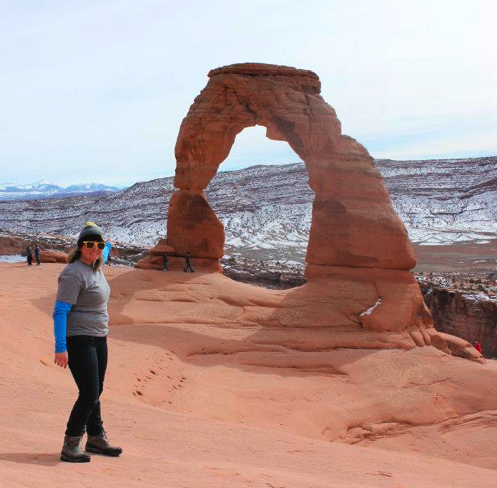 As the weeks went by my excitement grew–and when I walked into the gym and discovered that Kangoo Hopping–Hip-Hop–Dance was our surprise activity, I bounced up and down–literally. For months, I have tried to get into a Kangoo Nation class, but it’s so popular that I’ve often missed sign-ups, however, not this time–This time, I got to try Kangoo dancing–and it was just by surprise–just by luck of the draw–just by connecting with people who have a similar goal as mine: to get people to get out and do things–even if they don’t know exactly what they are getting into. 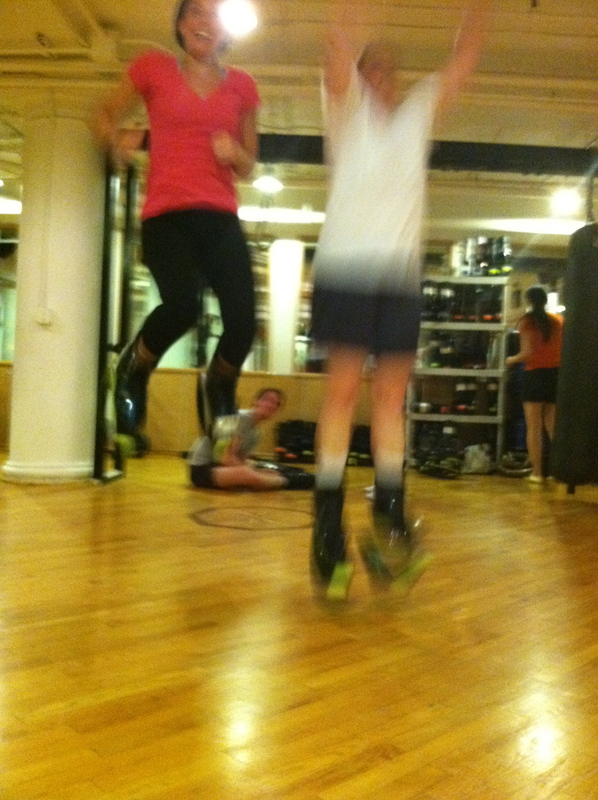 The class was small and intimate, but the energy was upbeat and fast. As we hit the second dance routine, I could feel my heart racing, the positive endorphins flowing through my body, and the sweat dripping. This was the best workout I’d had in a long time–and it’s one I definitely plan to return to. As we hopped around the room, I could feel the smile on my face growing larger and larger on my face, and as I turned to my friend, I watched as she smiled too. This is what hobbies–and surprises–and new things do–they inspire you–they break you out of slumps–and bring you back to LIFE. I’ve been so fortunate to have the opportunity to try so much this year–to meet so many people–to experience LIFE with so many other people. Because that’s all this hobby year is about–experiencing life–for everything it’s worth–not saying no–and jumping at each and every chance to try something new. This life is too short not to let surprises happen–it’s too short not to try something new–even if you think you’ll look silly–and it’s definitely too short to be sitting online reading blogs all the time. 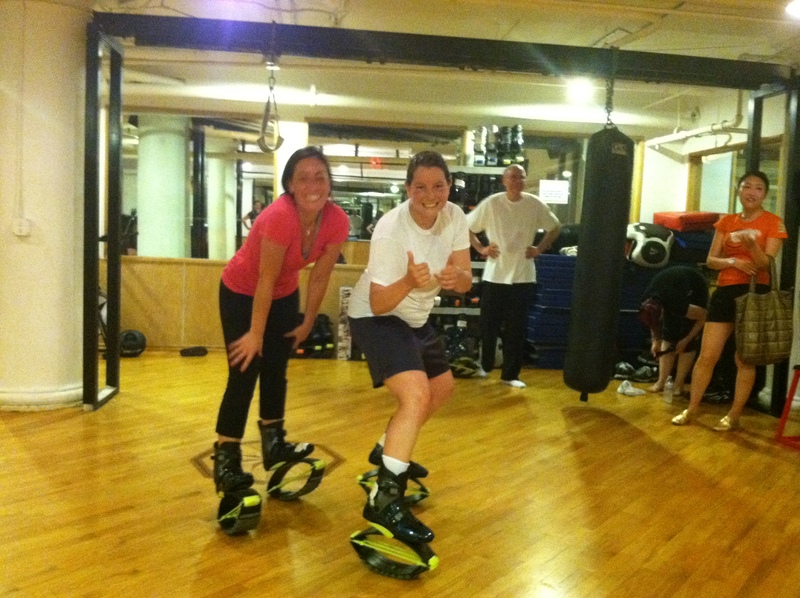 So get outside and try something new…Who knows maybe Kangoo hopping is your new favorite hobby–it’s definitely one of mine. But since Surprise Industries and I agreed on our common missions and why I would be telling people what my surprise was–GUESS WHAT–you know–but now that means you need to go SIGN UP for your own at http://www.surpriseindustries.com — Make sure you tell them you found them through the one and only Hobby Hoarder. ENJOY YOUR SURPRISE!!!! 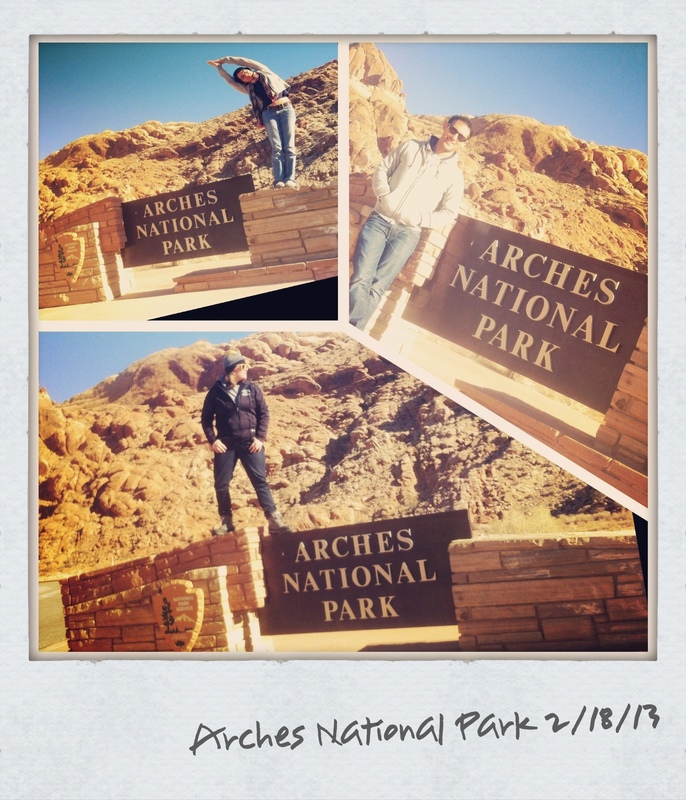 Posted in Happiness and tagged Bounce, Endorphins, excitement, Experiences, High Jumps, Hobbies, Kangoo Nation, laughter, Life, Loving LIfe, Mario Godiva, smiles, surprise, Surprise Industries, Surprisology, Sweat, UPS. Bookmark the permalink.